How Could a Compassionate God Order the Genocide of the Canaanites? My eldest daughter and I have been discussing portions of the Bible with which she is struggling. One of the problem passages she asked about is “Why does God order the genocide of the Canaanites?” Now of course I can give her the answer in the Bible, i.e., that God gave them 400 years to repent and that their sins were horrible, etc. ; but her real question is ethical. How can God who has such compassion for the innocents in Ninevah order the wholesale killing of innocent children in Palestine? Is the God of the OT and the God of the NT the same Person? How can I reconcile these, in modern terms, “unthinkable” crimes against humanity with the God of compassion revealed by Jesus? We’re also looking for good articles regarding “why I can trust the Bible” and the “relevance of the Bible” for today. We need to revisit the assessment of the Canaanites as “innocent.” From God’s perspective, there is no such thing as an innocent human being (apart from Jesus Christ). Every human heart is evil and bent on sin and rebellion. I see a strong parallel between God’s actions against the Canaanites and the actions of an oncology surgeon. He has to cut out what may appear to be healthy tissue but which is actually infected with cancer cells. The Canaanites were infected with sin. I don’t understand about the children, but I do know that a compassionate God ordered it. Something to consider, then, is the question of “Do children go to hell?” Probe’s founder, Jimmy Williams, addresses this issue here. Yes, the God of the New Testament is the same as the God of the Old Testament, a God of love and grace. Evidence of His love and grace are rampant throughout both testaments. I think we need to cultivate a spirit of humility before an infinite God we cannot fully understand because “all the available facts are not all the facts.” God never committed any crimes against humanity, much less unthinkable ones, because we cannot see ourselves, or Him, accurately. We have to depend on God’s revelation of human nature–which is that, apart from God, we are wicked and rebellious and evil, even at the same time that we are His image-bearers. And on His revelation of His own nature–which is that He is holy and just, and He would have been completely within His rights to allow every single human being to go to hell because that is what we deserve. But He didn’t. I’m afraid there is no “silver bullet” answer to these questions, ______, because we don’t have all the facts and just have to trust that God is good all the time, and He knows things we don’t. Along these lines, may I also suggest you read the article “I Can’t Forgive God for Taking All Those People in the WTC!“. 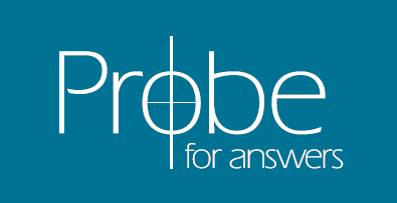 You might also find it helpful to browse our Theology/Apologetics Topics pages. "Is the Bible Wrong About the Cleansing of the Temple? ""How Do I Find Bibles in their Original Languages?"